Google is showing dynamic filters for some queries in the local pack. So if you search for something very specific, and Google can filter based on the query parameters, Google might show that filter in the local pack filters. 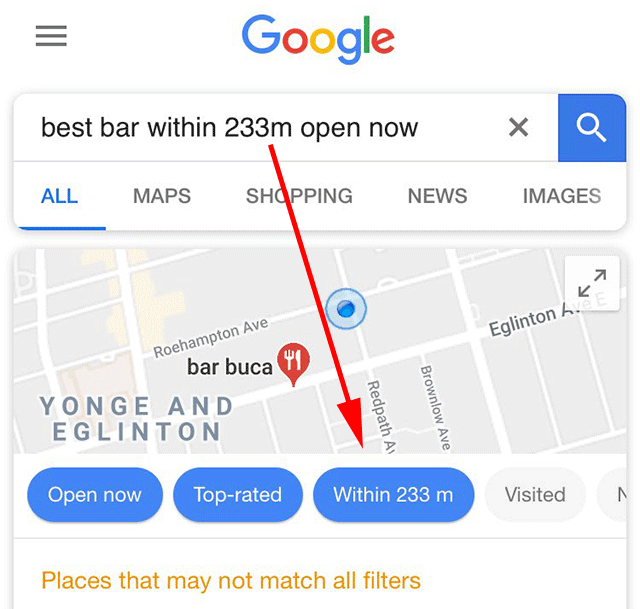 For example, Sergey Alakov posted on Twitter that he searched for [best bar within 233m open now] and in his filters, he saw the "within 233m" filter button. Google recently started showing dynamic business categories based on query as well.